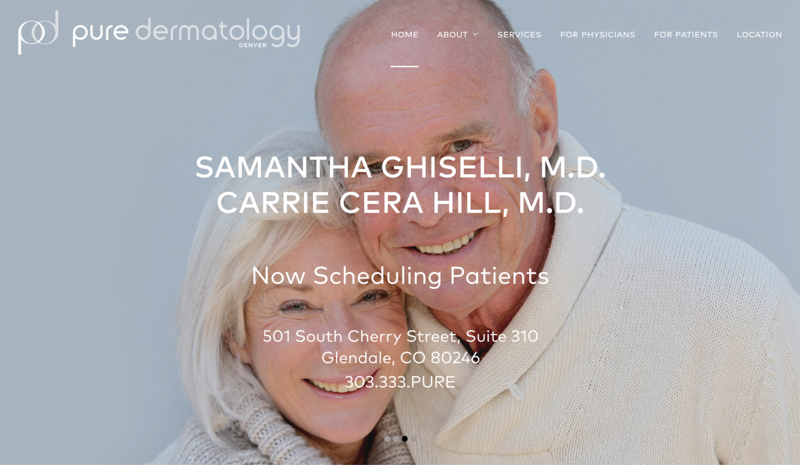 A physician-owned boutique practice that provides dermatologic care with personalized patient attention. They provide medical dermatology, surgical dermatology, cosmetic procedures, and aesthetician services. 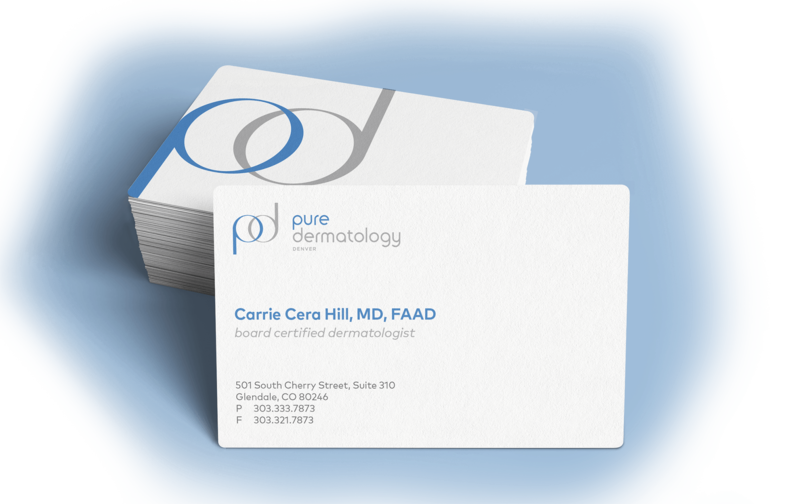 In order to compete with other dermatologists in Denver, Pure Dermatology wanted to stand out with their branding and digital presence. 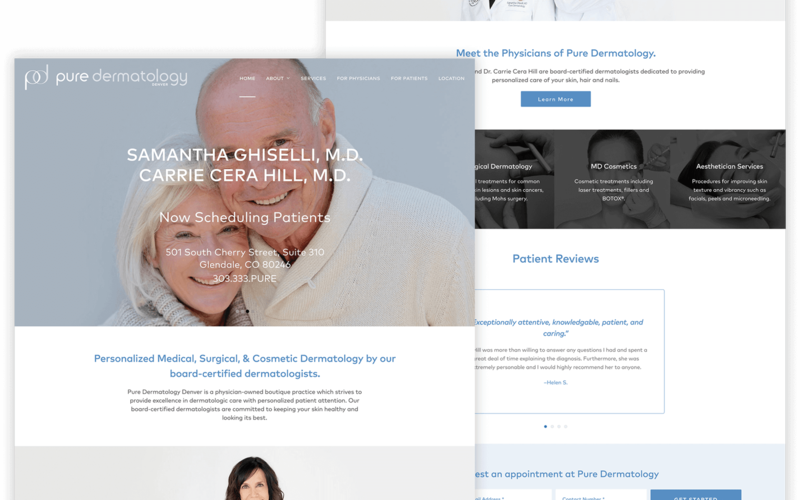 They were looking to expand their medical practice by creating a brand identity that is cohesive and consistent across all digital and print materials. Carrie Cera Hill M.D., Samantha Ghiselli M.D. In the exploration phase of the logo creation we looked for forms and shapes from logos in the industry, and leaned toward a pastel color set to reflect the soothing and relaxing ambiance of the practice. The symbols created in the logo suggest the words “delicate”, “flowy”, “soft” or “skincare.” In the end, we decided to go with the minimalistic symbol, with a typeface that embodied the same fresh, modern, and clean aesthetic form. The website focused on close-up shots of the skin with images set in a cool blue or gray background color palette. Furthermore, we kept the images focused on the portrait, selecting photos with less background elements in order to convey that fresh, modern, carefree feel that is Pure Dermatology.